Moving is fun. I know this is a controversial statement, but I stand by it. Moving gives me a chance to declutter, organize, and start fresh. Okay, I’ll admit my first couple of moves weren’t so great, but by now I’m getting pretty good at it (I just finished my sixth move in seven years). There are some mistakes I made early that you don’t have to. From organization to weight distribution within individual boxes, there are dozens of little tips and tricks for movers. Here are some that focus on packing supplies that will not only make your move easier, but might even help you make it pleasant. There are two competing truisms here. First, free stuff is good. Second, free boxes are usually not good. The second truism here trumps the first. The moving boxes at hardware stores and moving companies will cost you between $0.75 and $1.25 per box (or more for large or specialty boxes), and they’re designed to handle more weight and last longer in storage. Especially when it comes to moving companies like U-Haul, they have a reputation to uphold, so they don’t skimp—they make their moving supplies sturdy. And anyone who has packed a moving truck knows that loading is easier and more efficient when the boxes are uniform. Dumpster diving at your local liquor store or grocery store might yield a good amount of cardboard, but its lack of strength and uniformity will cost you in headaches in the long run. The takeaway: Head to your local U-Haul or Home Depot and grab mostly small and medium boxes, a few large boxes, and book boxes as needed for your library. And don’t be stingy—any boxes you don’t use can usually be returned with a receipt, so take a lot. 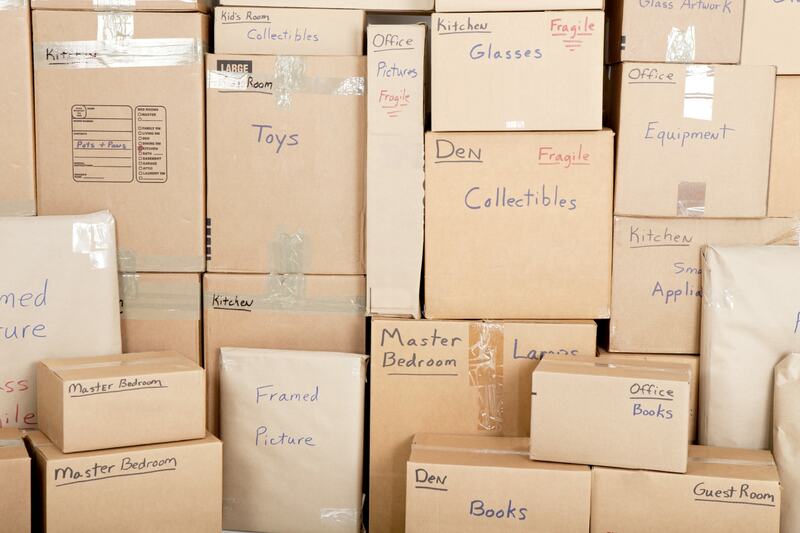 It’s tempting to just put some boxes in each room and start packing up, but during a move a little organization goes a long way. Once everything is packed up, I promise that as soon as you need something, you’ll forget which box you put it in. 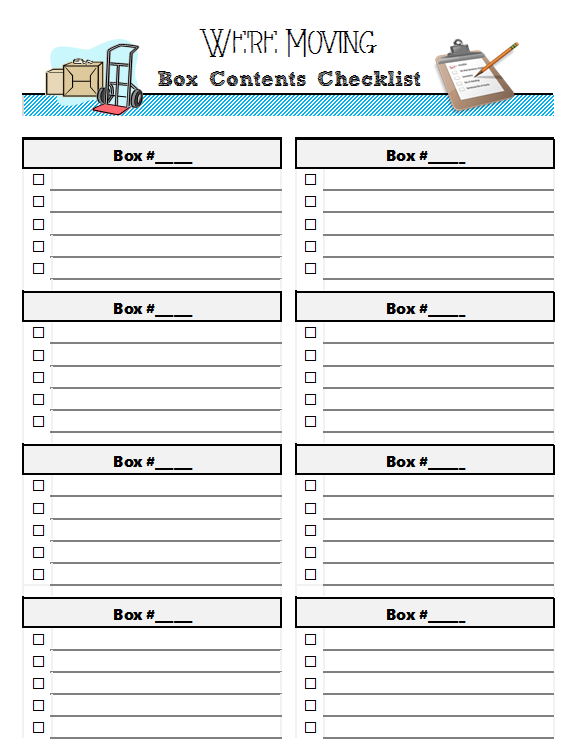 Labeling each box, with a corresponding list of what’s in each one, will save you some headaches down the road. Having a packing list makes packing go a little slower and unpacking go a lot faster. 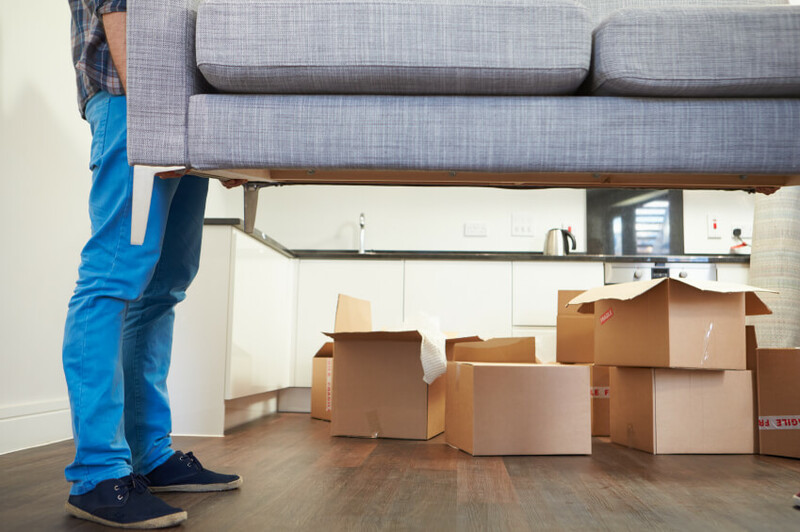 When you’re standing in a new apartment or house full of boxes, knowing what’s in each one will make it easy to find the essentials quickly. The takeaway: Go analog. You could get fancy and electronic, but keep things simple with a few printed pages and a pen. Try this printable packing list from orgjunkie.com. Believe it or not, all tape is not created equal. As with other packing supplies, choosing the right tape can make your life easier. It’s tempting to just run to the hardware store and grab the cheapest roll you can find, but in this case you really do get what you pay for. Most tapes are plastic, which makes cutting them a pain. Plastic tape is tough to manage, tough to unroll, and doesn’t hold up well in storage. The takeaway: Pick up U-Haul’s paper-backed box tape that adheres to cardboard like a dream and doesn’t require a dispenser. The cost isn’t much more than the plastic stuff, but it will absolutely make your move easier. “It’s not that heavy, it’s just awkward.” This stock phrase has been uttered countless times by sweating do-it-yourself movers as they struggle under an oddly shaped dresser or desk. And honestly, sometimes the furniture is both awkward and heavy. The takeaway: Grab a Forearm Forklift for about $20. Two sets of straps allow a pair of people to lift and move heavy and awkward items much more easily than without. This is one of those weird instances when the infomercial wasn’t too far off. Want an unbiased look? Here’s Consumer Reports’ test run. Sandwich bags, freezer bags, grocery bags—you probably already have some of your most important packing supplies on hand. 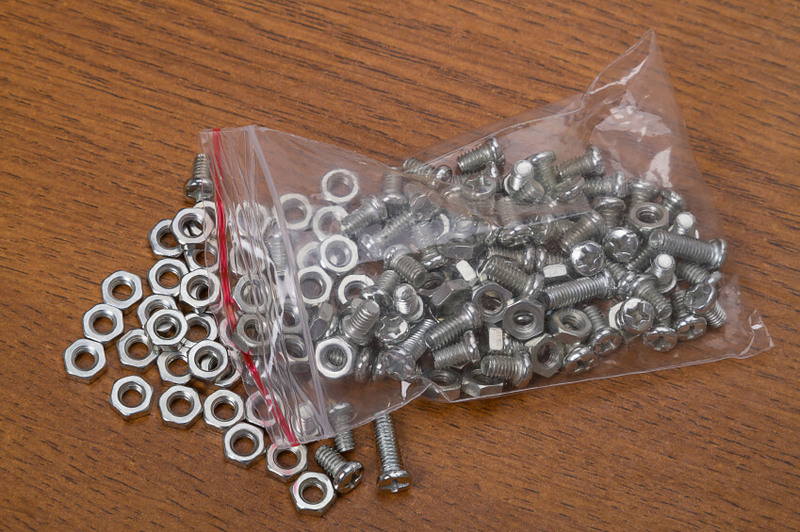 Use sandwich and freezer bags to keep track of hardware from furniture. Tape each hardware bag to its piece of furniture to ensure that you know just where to find it when you reach your destination. Use the grocery bags to wrap scratch-prone items with a bit of extra protection before you pack them away. The takeaway: Stock up especially on plastic grocery bags in the weeks and months before the move. They can be used in the place of paper to stuff boxes with fragile items that may shift in transit. Not everything fits in a box. Your couch, your piano, your grandmother’s antique heirloom cedar chest—these aren’t going in boxes. But they are going in the giant truck, to be jostled around with everything else. The giant roll of plastic wrap may seem extraneous, but if you want to keep from selling all your stuff at a scratch-and-dent yard sale in the near future, invest a few bucks in this lifesaver. The takeaway: Rent a few furniture pads when you get your moving truck. Wrap the furniture pads around especially vulnerable pieces, then secure them with the plastic. Barring a catastrophe, your stuff will arrive safe and sound. Boxes are square. Your stuff isn’t. When you pack a box, you’ll almost always have extra space inside. Living rooms, offices, and especially kitchens all have items that are notoriously difficult to pack. This is where lots of newspaper comes in handy. 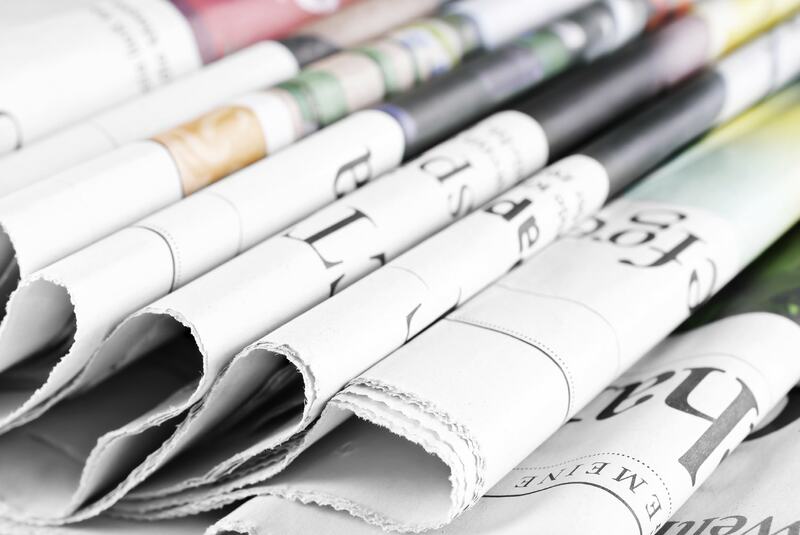 Shoving newspaper in the nooks and crannies will keep stuff from shifting too much, making it much less likely that you’ll open a box at your destination only to discover heartbreak inside. Newspaper will also help you keep from over-packing boxes. If you put your silverware in the bottom of a box, protect it with a generous helping of paper. You’ll save your back and keep the bottom of the box from bursting from excess weight. The takeaway: Buy cheap newsprint paper. You probably don’t have dozens of old newspapers lying around, because of the ever-handy Internet. So while you’re at the hardware store, grab a roll of newsprint. It’s cheap, and as a bonus, it doesn’t smudge ink on you or your stuff. Let us know how these worked, or tell us about your best moving tips in the comments below. You might just help us turn someone’s move from a chore to a joy.